“No man is a island” as Englishman John Donne wrote in his “Devotions Upon Emergent Occasions”, I couldn’t agree more. No matter how much one tries to isolate from the world, the connection is undeniable and ever present. When you think about definition of happiness and success, what comes to your mind? When are you happy and what makes you happy? As many wise men said and wrote, the purpose of life is to make happy and than you are truly successful. Its not the money itself, not the things you can have, but the meaningful relationships, being a part of something greater than oneself, seems to make us happy. Human beings don’t seem to thrive when isolated from others, but individuality, personal growth, success and sense of fulfillment is possible when we manage to build healthy relationships around us. Getting close to others, trusting others, sharing our fears, concerns, excitement, being able to communicate with friends, family that’s what makes us happy. Yet, everyone I know have issues with being understood, having their words received the way they were meant to be. When emotions get involved and they always do, especially with the ones we are closest to, conflicts are created, often serious ones that grow into years of hidden resentment and unhappiness. Creating happy relationships is not that simple, but…. Since I’m exposed to multinational environment being married to a foreigner and working with a lot of different nationalities, i can see this issue deepened by cultural differences, our upbringing, values and perception altered by life circumstances. I agree with Tony Robbins who described our 6 human needs and claims that virtually all people, no matter where or who they are, are driven by those needs. This is a topic for a complete separate post. This one is dedicated to introducing you to ways of creating happy relationships, starting with the one that is the most precious, family relationship. Having happy family, one can achieve anything, you have your own support unit and they are to love you and be with you no matter what life throws at you. I got absolutely amazed when I found out about “Family IQ“. I didn’t even know, that such concept existed, I came across that company thanks to my friends who were struggling with their marriage and answered several tests available online. They were able to better understand each others needs and wants. In fact, their eyes opened wide when they understood how little they knew about each other. You have to admit, that this is very often the case in marriages, people forget, that good relationships require pampering and care, without it, well…look at the statistics. They are petrifying and what’s even worse, is that commitment you make saying “I do” is later, often treated very lightly and with the wave of first problems, inevitable to all relationships, people stop communicating and issues accumulate to often end in a sad finale. I wrote this post to lead you to tests I have already paid for as I’m a part of family IQ business community. I greatly encourage you to go ahead and take those tests, as I’m sure you value your family as the most precious gift you have and having it functioning at its best is the most amazing experience. Whether you are a couple with or without children, want to coach others, share my desire to change the world one family at the time or are just curious go ahead and take a minute to define what areas you might want to improve and better. 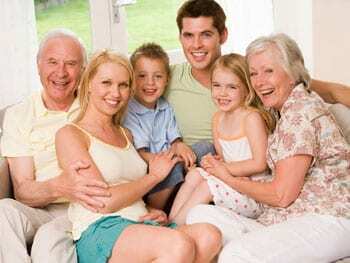 Remember, there is no such thing as picture perfect family, we all evolve in our relationships and personal growth. Modern world puts us thru many challenges and changes, so do yourself a favor and have a smooth ride with a little bit of help. Please go to Family IQ, choose option 3 and claim your gift. After completing your test, you will receive recommendations what courses you could take to improve your life. There is most amazing range of courses to help you create better relationships as well as take care of your own needs. As we know without your happiness, nobody around you can be happy. If you need my help let me know and do share your opinion about it. I just want you to be aware, that taking any of the courses recommended you will be in good hands with over two decades of success in helping families by esteemed group of experts. FamilyIQ content has gained a reputation of excellence. Over 1.5 million dollars has been invested and over 200,000 courses and tests have been taken by satisfied consumers who have gained more effective parenting skills, improved relationships and happier families as a result. Well, to end this post, I wish you all the best and have a fantastic day. May You Be Surrounded With Love, Peace and Joy This Christmas, May 2014 Be Prosperous and a Wonderful Year For You and the World!